In 1972 the district was originally formed as the Sugarcreek Township Park District. The first park under the Sugarcreek Township Park District was Magee Park. 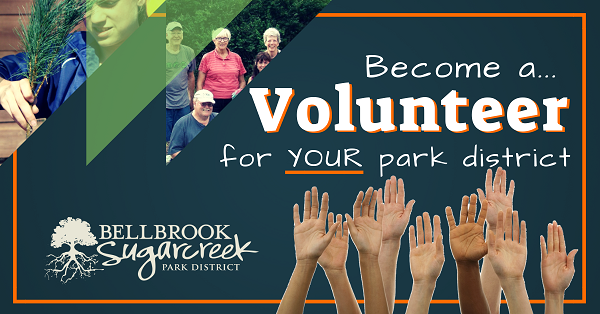 In 1983 the Sugarcreek Park Board and the Bellbrook Park Board combined forming the Bellbrook-Sugarcreek Park District. In 1989 Sugarcreek Township split from the City of Bellbrook. Instead of dividing the parks, the city and township agreed to turn ownership of the parks to the Bellbrook-Sugarcreek Park District. This included Magee Park, Carriage by the Lake Park (now known as Kehl Park) and Possum Run Park. The Park District acquired 30 acres on Washington Mill Road now known as Washington Mill Park from the Koogler Family. Later the Koogler Family donated an additional 5 acres to the Park District making a total of 35 acres. In 1990 the Sugarcreek Ski Lodge and 4 acres were donated to the Bellbrook-Sugarcreek Park District. In 1991 the Bellbrook-Sugarcreek Park District renovated the Ski Lodge and developed the Community Center. The Park District not only had its first offices but were now able to offer programming to the community. In 2011, the City of Bellbrook deeded the title of Bellbrock and Petrikis Parks to the Bellbrook Sugarcreek Park District to allow for more focused improvements to the parks. Today the Bellbrook-Sugarcreek Park District owns and/or manages numerous parks totaling approximately 670 acres in the City of Bellbrook and Sugarcreek Township. The Park District is governed by three Park Commissioners appointed by the Greene County Common Pleas Court. Meetings are held the Fourth Thursday of each month at 7:00am (effective March 2010) at the Community Center.